For families seeking orthodontic treatment in Wyckoff and the surrounding areas, Loeb Orthodontics wants to raise awareness of the effectiveness of early treatment for orthodontic issues. As your family orthodontist, we want your experience to be as smooth as possible, and early intervention may be the best way to achieve that. The earlier that alignment issues are detected, the more likely it is they can be corrected with less extreme intervention. Even when complete orthodontic treatment isn’t necessary, your family orthodontist can recommend strategies for reducing the risk of developing alignment issues. Some causes of these problems may be habits like thumb sucking or mouth breathing. 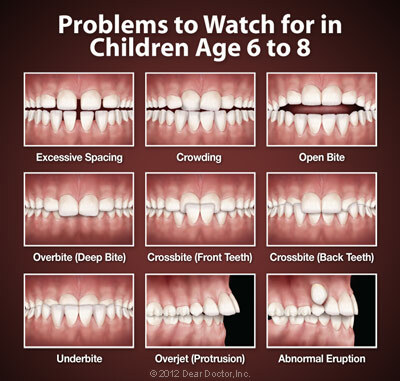 It is always better to address these issues with a younger child than a teen, who may be more resistant to orthodontic treatment like metal or clear braces, and at an age where habits can be difficult to break. If you haven’t yet made an initial appointment for your child, now is the time to contact our office. Our team is here to assist you and answer any questions you may have. We treat families in Wyckoff, Franklin Lakes, Wayne, and Oakland, NJ, and many other surrounding areas, and we look forward to treating your family as well! Make your appointment today.